New trains for Boston’s rapid transit system, the fourth busiest in the United States, has been unveiled by the Massachusetts Bay Transportation Authority (MBTA). CRRC MA was awarded a contract in 2014 to design and manufacture a new fleet of 152 Orange Line and 252 Red Line vehicles for the T – the Chinese manufacturer’s first contract in North America. 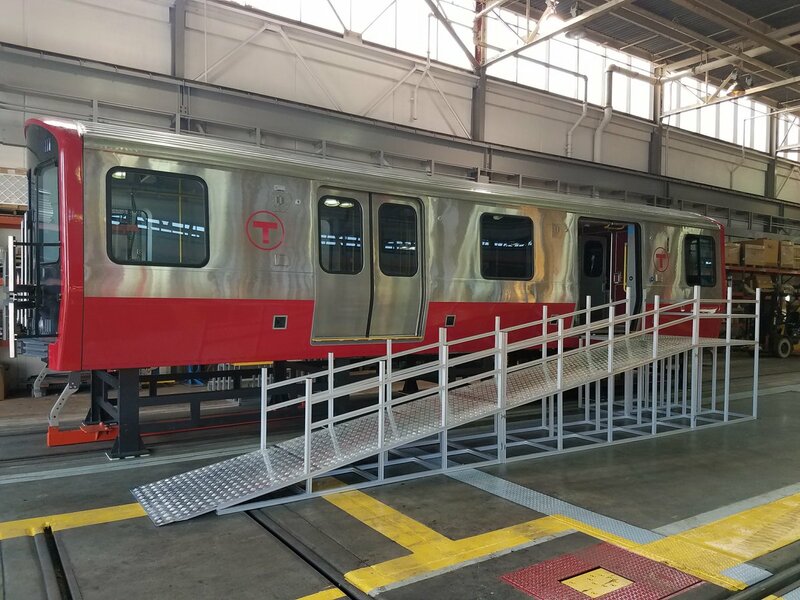 Last year, MBTA unveiled a mock-up of one of its new Orange Line trains and now passengers can have a glimpse of what to expect from the new Red Line rolling stock. 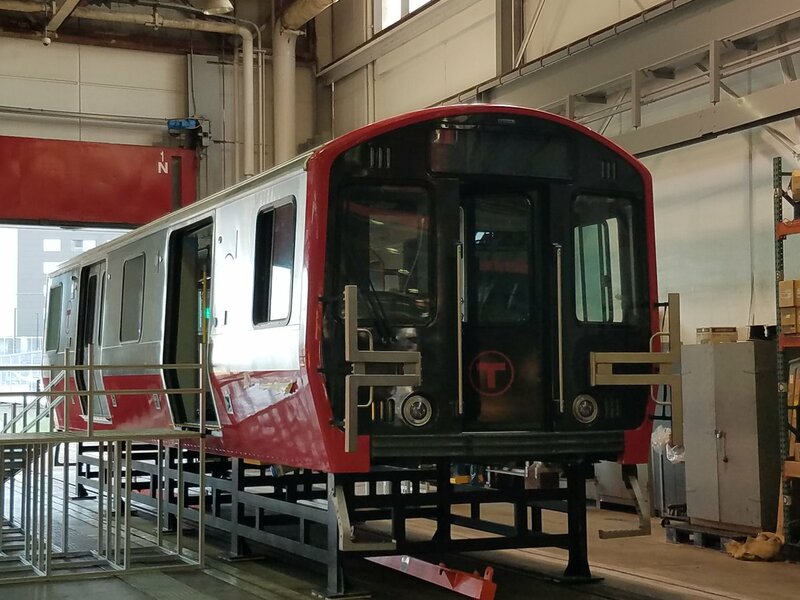 MBTA’s engineering and procurement teams will conduct a thorough inspection of the mock-up, which was made in China, and in August the public will be given the opportunity to board it and provide their own comments. CRRC MA will assemble the new trains at its specially constructed facility in Springfield, Massachusetts. The new trains will come equipped with LCD passenger information screens, CCTV cameras, automatic passenger counting, wide doors and folding seats. They are expected to boost capacity and reliability on two of the T’s most congested and overcrowded lines. 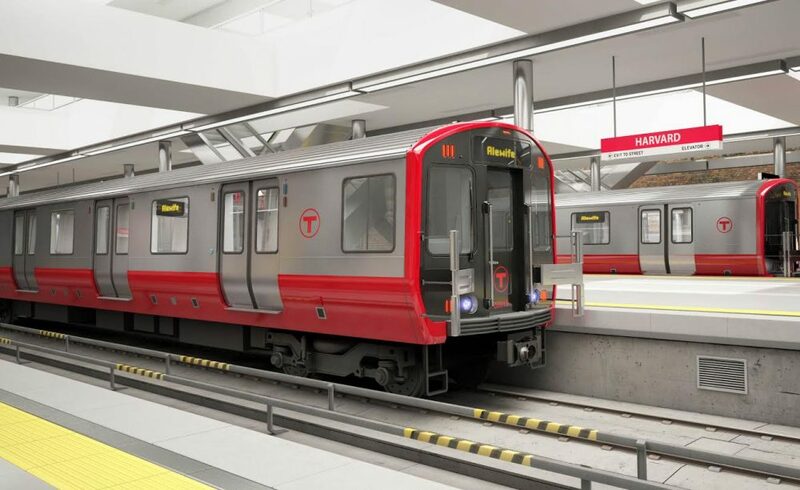 A computer generated image of the new Red Line trains. Photo: MBTA.